1.2. Read the license agreement. If you accept the terms of agreement, tick "I accept the agreement" and click " Next". 1.3. 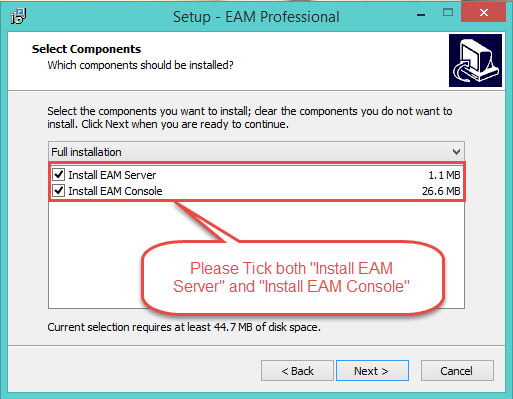 Select directory where you want to install iMonitor EAM. Choose whether you want to create start menu group, Whether to run application after installation process, and whether to put the iMonitor EAM shortcut on the desktop. 1.4. Wait until program files are copied to the destination folder. 1.5. Open iMonitor EAM from the Windows Start menu.